Under the Business Innovation and Investment Programme foreign-nationals conducting business or investing in the country, may obtain a temporary residency visa, together with their dependents, and eventually a permanent residency visa. To be eligible the foreign national must be nominated by a state or territory government or Australian agency. To be nominated, the investor/entrepreneur must file an application for State Nomination with the Business Migration Centre (BMC). Once approved, it is required to submit an Expression of Interest (EOI) through the SkillSelect Online process of the Australian Department of Immigration and Border Protection. Once nominated in SkillSelect, he or she will receive an invitation from the Department of Immigration and Border Protection to apply for a Provisional visa subclass 188. After a certain period of time, depending on the business/investment stream, he or she may apply for a permanent visa subclass 888. After 4 years of permanent residency, he or she may be eligible to apply for citizenship. -	At least AUD 500,000 in venture capital and growth private equity funds which invest in start-ups and small private companies. -	At least AUD 1.5 million in approved managed funds investing in emerging companies listed on the Australian Stock Exchange. -	Investment of at least AUD3 million in managed funds that may invest in a range of assets, including ASX-listed companies, Australian corporate bonds or notes, annuities and commercial real estate. Direct investment in residential real estate continues to be prohibited and indirect investment in residential property through managed funds is now strictly limited. Investments must not be used as security or collateral for a loan. After 4 years of residency, you may apply for a permanent visa subclass 888 (permanent residency), provided that you have held the investment for four years, you have resided in Australia at least 40 days per year (calculated cumulatively) or your spouse has been in Australia for at least 180 days per year. -	Statement of Assets and Liabilities Position (SALP). -	Evidence of ownership of assets. -	Have a high level of management skill in relation to the eligible investment or qualifying business activity. -	Have at least three years' experience of direct involvement in managing one or more qualifying businesses or eligible investments. -	Have an overall successful record of eligible investment or qualifying business activity. -	Reside in the state or territory whose government agency nominated you. -	Continue your business and investment activity in Australia after the conclusion of your provisional visa. -	Live in Australia for at least 40 days per year (calculated cumulatively) for the duration of your provisional visa, or your spouse to live for at least 180 days per year (calculated cumulatively). 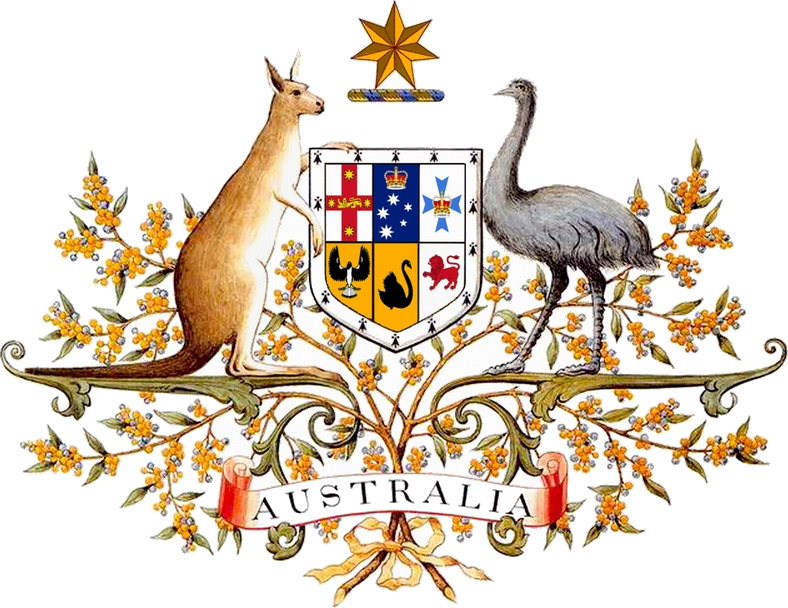 Dual citizenship is recognized in Australia. You are not required to renounce your previous nationality to become a citizen of Australia. You will be considered a tax resident in Australia, if your permanent domicile is in the country or you have been in Australia more than half-year (unless your place of abode is outside Australia and you don’t intent to reside in the country) or you are an Australian employee. If you hold a provisional visa, you will be considered as a temporary resident, and therefore your foreign-source income may not be subject to taxation. An additional tax of 2% applies to income in excess of in excess of AUD 180,000, both for residents and non-residents. Capital gains are treated as ordinary income, if the asset is held by a tax resident (excluding temporary residents) more than one year, a 50% discount may apply. Nonresidents are also subject to a non-final withholding tax of 10%. Australia has enacted controlled foreign company (CFC) regulations. Foreign companies controlled by residents that fails the “active income test” (usually when passive income is more than 5%), their passive income may be subject to taxation, whether the income is passed at the personal level or not. Ranges to determine whether a company passes the ‘active income test’ or not, will depend on its jurisdiction of residence. States and territories levies land taxes. Transfers of assets are subject to a stamp duty at rates up to 5.75%. There is no net worth tax, nor inheritance taxes in Australia. Regarding corporate taxation, resident entities are subject to a 30% tax on their worldwide income. A reduced tax rate of 28.5% may apply for those companies whose turnover is less than AUD 2 million. There are available several tax breaks and exemptions for companies engaging R+D activities. Dividends from resident entities are usually entitled for a tax offset. Dividends from foreign-source may be exempted if the parent company holds at least 10% of the shareholding of the payer entity, otherwise they may be taxable. Capital Gains are treated as ordinary income. An exemption may apply for those from the disposal of shares, if parent company holds at least 10% of the capital of the subsidiary. Dividends paid to non-residents may be exempt from withholding taxes, provided that profits were already taxed, otherwise may be subject to a 30% withholding tax. Payments on interests abroad are usually subject to 10% withholding tax, however certain interests may be exempt. Royalties are usually taxed at 30%. These rates may be reduced or eliminated under a tax treaty. For further information on corporate taxation, legal framework and tax treaties, check out incorporations.io/australia. Flag Theory | Passports.IO and our qualified lawyers in Australia, will handle all paperwork, and guide you through each step of the process to ensure that it is as fast, efficient and pain free as possible. First, our advisors will help you to successfully pass the Skillselect test and the Expression of Interest (EOI). If required, they will advise you on what investments and business are likely to be nominated and approved. They will help you to develop your business and investment plan (if applicable). Once you are nominated our lawyers will guide you through all document requirements to file, as well as complete questionnaires, translate and legalize documents. Then, we will file your application to the Immigration and Border Control department. The whole process may take about 12-18 months. Once, your project is approved you may apply for the residency visa and conduct the investment. For further information on Australian Business Innovation and Investment visas and detailed procedures, contact us for a free private consultation.